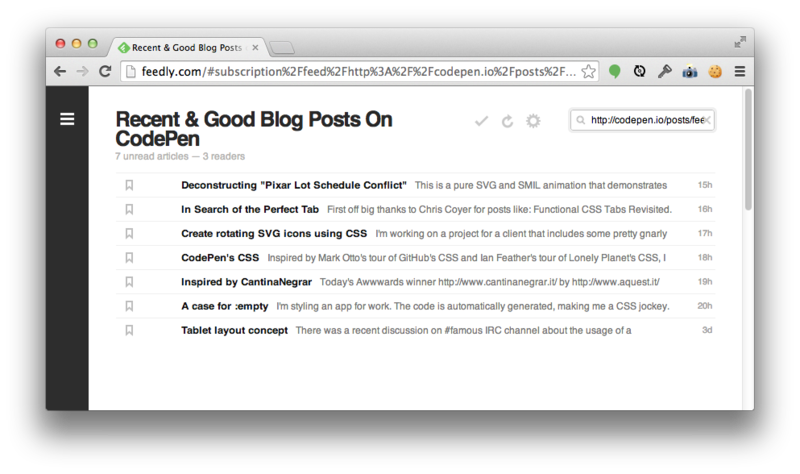 Now that CodePen has a blogging feature, we figured we'd start picking out the best articles that y'all are writing and featuring them for others to find. Check out our Recent & Good Blog Posts page for a continuous steam of that! You don't have to visit the site every time to keep up with all the great posts though, there is an RSS feed of them you can subscribe to.